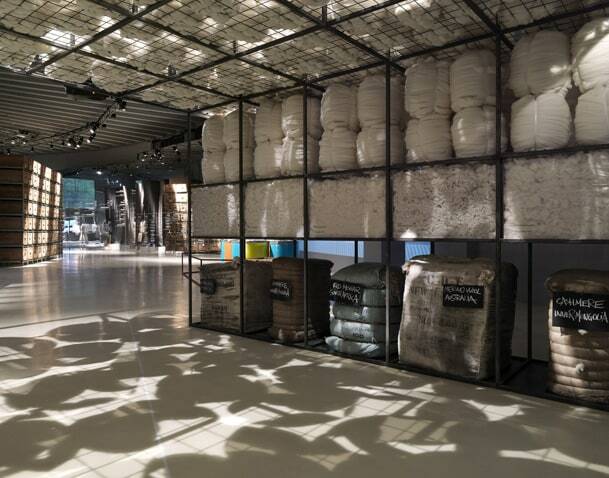 The exhibition, designed for Milan La Triennale Museum, and now permanent display at Casa Zegna, recounts the story of a family business built by four generations, each dedicated to realizing the vision and ideals of the founder: absolute quality, continuous innovation, along with social and environmental responsibility. 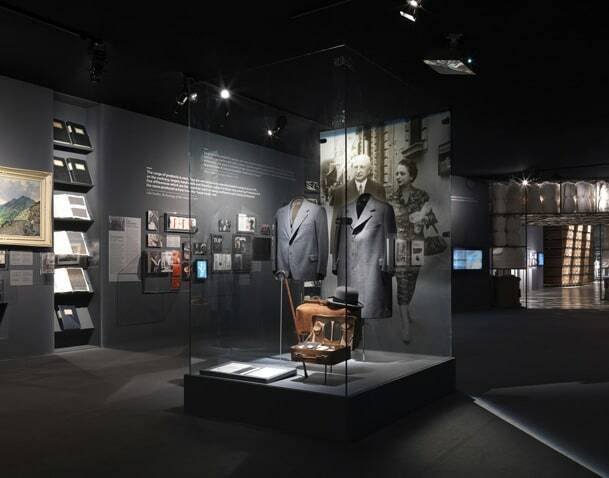 The life of the founder, Ermenegildo Zegna, is told by clothes from his wardrobe, notebooks and period photos. The pioneer built his wool mill in Trivero with a mission: to produce the finest fabrics in the world. A task renewed first by his sons Aldo and Angelo, then by Gildo and Paolo, the 4th generation who made Ermenegildo Zegna a global luxury, fashion and style brand. Raw material is the focus, in each phase, from natural fibres to the fabric and the finished product: a vertically integrated process that Zegna controls entirely. Metres of sumptuous, soft and light fabric are on display, begging to be touched. The spirit of the wool mill is felt in the authentic exhibits, wooden crates, yarns, and in the images of looms at work. Renowned photographers document the distant origins of the fibres and the manufacturing process. Over 500 hands contribute to the making of a Zegna suit. 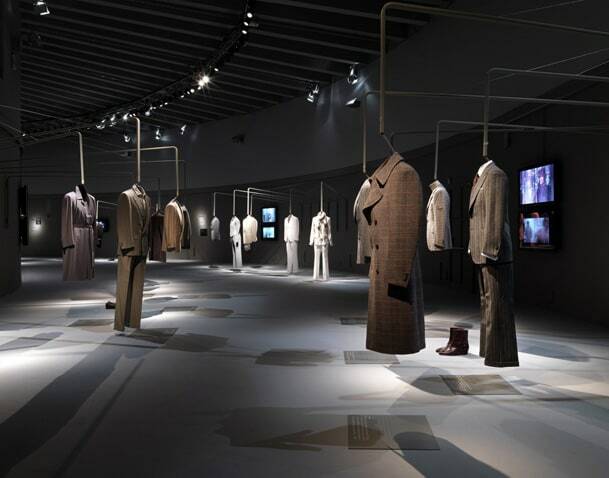 A selection of original garments from the '70s to the present day illustrate the evolution of the Zegna Style, that of classic male elegance, sartorial but responsive to trends, as shown in an ample collection of international advertising campaigns and photos by famous fashion photographers. Ermenegildo Zegna sees architecture as an ideal bridge between style and environment, as seen in its archistar designed stores and offices. But the key relationship is with Trivero and its environment, enriched by love of art and reflected in projects like "ALL'APERTO"' (an open air contemporary art park) and the fraternal partnership with Michelangelo Pistoletto. 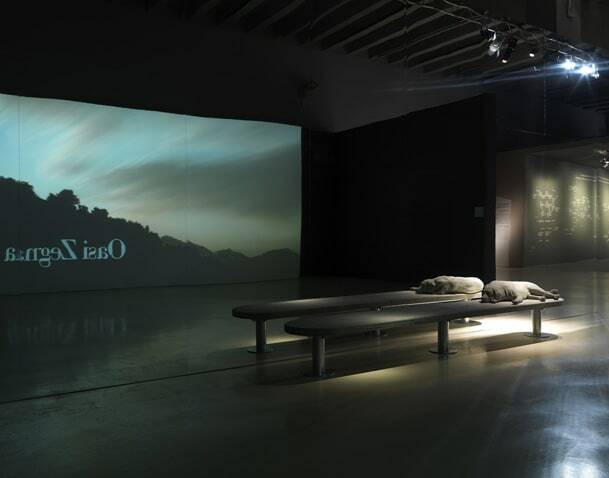 A short movie by Mattias Klum celebrates Oasi Zegna, 100 km2 of protected land surrounding the Wool Mill and Casa Zegna.